Who are the “opening DJs” and what’s their role? Good parties are made of many different aspects: good venue, good sound system, good artists, good bar, and even good toilets. There are much more things that all together make event stands out, and today I’d like to focus on one of them — an opening DJs. Opening DJ is a person who playing first at the beginning of the event. Alternatively, they called a warm-up DJs. And I believe that opening DJs have the hardest and a very underrated role. A DJ think: “Finally I’ve got a gig, this is my time to shine! I’ll show everyone how talented I am!”. And he drops the most banging tracks on the empty dancefloor, or to some people who are completely not ready to this yet. As the result often we see something like this. Please don’t be like that guy. Just don’t. People won’t rush to the dancefloor as soon as they come in to the club, even if you drop the top hit track. They want to meet with other people, drink something, i.e. get into the right mood. “A bar? I’m a DJ, I have to fill up the dancefloor!”. That’s not really true. First few hours after doors opening is the most profitable for the bars (look at p1 above). 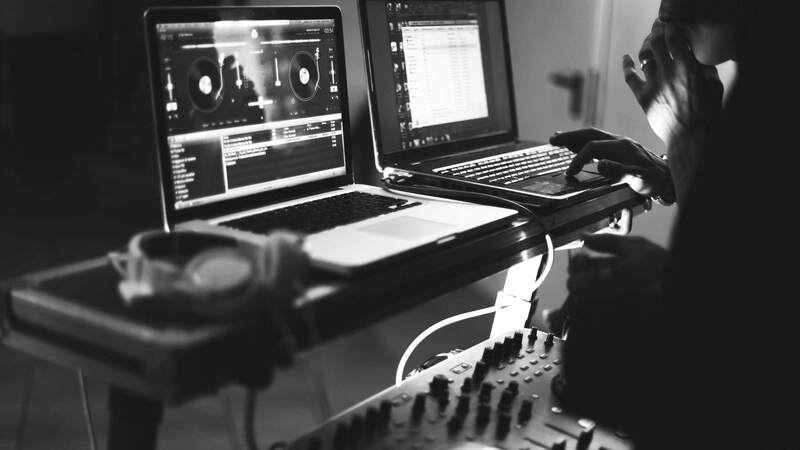 If you’ll play a proper background music like it should be at the beginning, party organizer or venue owner will appreciate it. Prepare crowd for the headliner. Prepare means gives them anticipation that something big is about to happen. Tease them, but don’t give those “big things”. Let the headliner bang it. Warm-up dancefloor, not burn it. A small remark to this picture: this is pretty rough “energy lifetime” scenario for an 8-hours long club event. Primetime energy level may be vary depending on the lineup, as well finishing up time scenario could be different: from rough stop on top of the energy to a very long gentle slowing down. Warming up part is what we’re talking about in this article, so the rest is grayed out. You see, during the first hour, energy level must be very low and almost not growing up. Just enough to welcome the clubbers on positive vibes. At the end of the second hour, you can start to slowly increase energy, and nearly at the finish of your set you can drop a few tracks with a similar energy level as the headliner will play, but not higher. And this not only one man’s opinion, many credible artists think the same. John 00 Fleming, who’s in DJing for two decades now, is one of them. If you don’t know a headliner that will play after you, make a research before the event: listen to his tracks, try to find his recorded live shows — it will help you programming the set. If you haven’t played in this particular venue yet, try to find out as much as you can: some specific things in local crowd habits and behaviors. Speak with the venue manager, the party promoters, the other DJs or people who’ve been there before. In fact, this advice might be useful not only to the opening DJs. Never, never play tracks with higher BPM than the headliner. If the headlining DJ of this particular event plays a 145+ BPM Full On PsyTrance, it’s okay to start with Psy-Progressive at 130 BPM. If the headliner’s music is 135+ BPM Psy-Progressive, then start with 125+ BPM deep Progressive or even Techno. Don’t play at full loudness — drop it down up to 90~95% of total volume. Here is the hint: the louder music is, as better we think it is. That’s our body language. That’s why “loudness wars” exists is the music industry. So, if you playing at 90~95% of volume and then the headliner will increase it to 100%, his music will sounds “better”, harder and more pumping. Don’t play tracks made by the other artists that will be playing after you. As a psytrance Dj, I have opened for numerous outstanding artists like AJJA, Middle mode, Ace Ventura, Astrix, Sonic Entity, E-Clip, Avalon, EVP, Azax Syndrome, Hilight Tribe and many, many more.... To add to this amazing article by Daniel I must add a few more pointers too. I have played to completely empty floors to full on raging floors. I have always believed that the opening act has a lot more work to do... they have to set the tone and pace for the main act. During this sometimes you will have empty floors to start of with. don’t go in there with full power banging!!! Ask your self if you walk into an empty club, and hear banging music from the word go.... you will start feeling extremely irritated and may leave. Most important:. the warm up DJ has to leave his ego outside the door of the club. you have to start becoming very meditative from within and build up the mood perfectly. Loved the graph Daniel, keep up the amazing work. Thank you for your input, really love this part: “warm up DJ has to leave his ego outside”. Thumbs up!